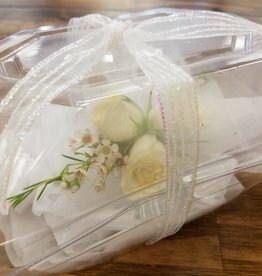 Order your stunning and elegant corsage/boutonniere from The Hen House! All our corsages are custom made with you in mind. Let us know the flower and ribbon color you would like and and we will make your vision come true.